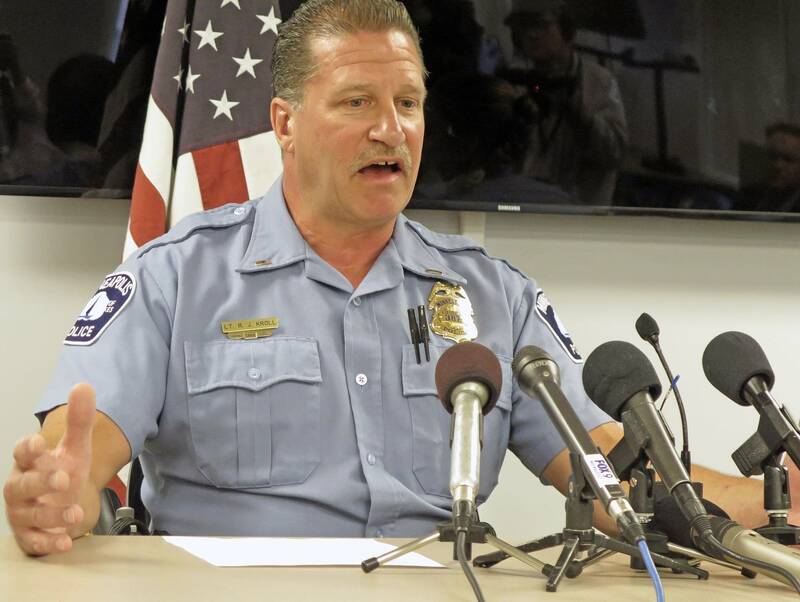 The head of the Minneapolis police union says the appearance of uniformed officers in a Tim Pawlenty campaign ad photo was not improper. Lt. Bob Kroll said the federation frequently endorses candidates for office. Pawlenty, a former Republican governor, is running again for the office he left in 2011. Kroll said many of the officers in the photo with Pawlenty are members of the federation's board. "In any of our endorsements we will give it to them and the candidate can use it however they see fit — including photo opportunities with us, commercials, postcards, flyers — you name it," said Kroll. In the ad, Pawlenty pledged to enforce immigration laws. The city's mayor and police chief expressed concerns that message conflicted with the city's policy, which prohibits officers from acting as agents of federal immigration enforcement. Kroll said Minneapolis police will still adhere to the city's policy. Police department spokesperson John Elder said the ad should have included language clarifying that the union's endorsement doesn't represent the views of the police department or the city. Kroll said the union board voted unanimously to grant the endorsement to Pawlenty and that the union followed department policy by notifying the police chief about the endorsement. Elder confirmed that Kroll did notify the chief. Kroll says the union has supported Republican and Democratic candidates, including the current governor. "Why is the mayor and the Minneapolis City Council so upset about a Republican endorsement?" asked Kroll. "They certainly weren't upset when we endorsed Dayton the last two terms."